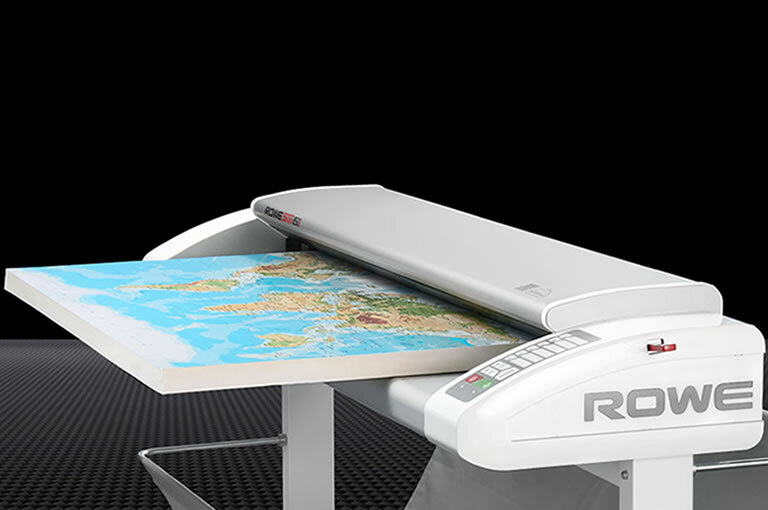 The ROWE Scan 850i large format scanner with its 6 models and future-proof technology stands for unbelievable innovation, productivity and numerous patents. 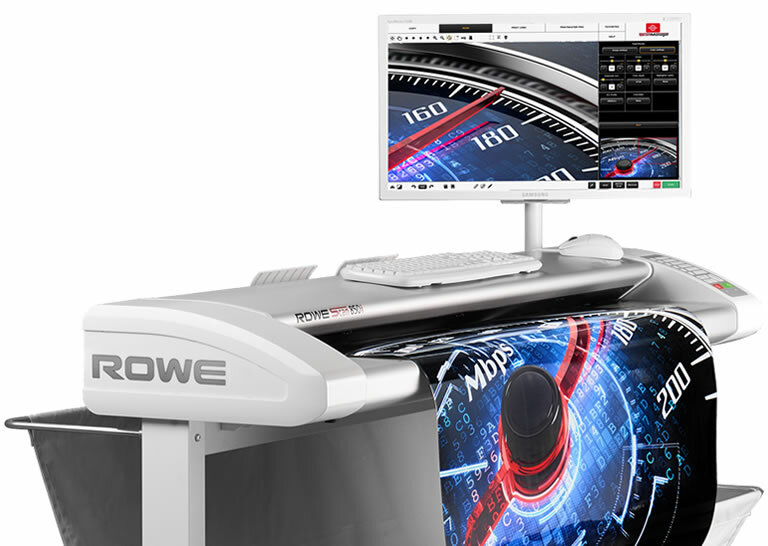 The ROWE Scan 850i wide format scanner represents a whole new class of high-tech scanners that was awarded one of the highest prizes for innovative products by an independent expert jury. It features 3 models with scanning widths of 44″, 55″ and 60″ and 3 models with automatic height adjustment 44″ HA, 55″ HA and 60″ HA. Maximum Original Thickness HA Maximum media thickness up to 30 mm (1.18″). The electrically driven ROWE HEIGHT ADJUSTMENT (HA) works fully automatically at the simple push of a key. ROWE SAFE GUARD Media transport technology which ensures that even old, torn or extremely wavy originals are transported and protected in the best possible way. Download the complete ROWE Scan 850i Large Format Scanner Specifications here. The ROWE Scan 850i wide format scanner scans even the thickest originals. The electrically driven ROWE HEIGHT ADJUSTMENT works automatically at the simple push of a key: sensors determine the exact thickness of the original, the top part of the scanner positions itself automatically at the correct height and ROWE SAFE DRIVE guarantess safe transport of the original. 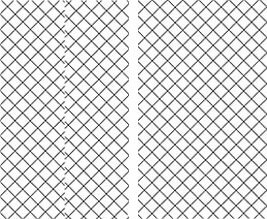 Do you require a scan width of 60″ (1524 mm)? Completely in tune with ROWE-typical modularity, all ROWE Scan 850i’s with 55″ scan width can be upgraded to 60″. ROWE Scan 850i makes it possible to generate numerous file formats and to save them in your Cloud via ROWE ScanCloud. The scanner is compatible with all common Cloud providers e.g OneDrive, Dropbox, Apple iCloud, Google Drive, etc. and generates all the usual file formats, such as PDF, PDF/A, Multipage-PDF, TIFF, Multipage-TIFF, JPEG. ROWE ScanMatrix+ is ROWE’s unique, patented technology designed to ensure best possible scan quality. It consists of several digital core components. 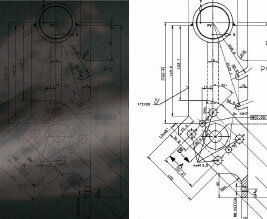 A new scan quality dimension is achieved through interaction between these components. You can capture superb colours with the ROWE Scan 850i wide format scanner: it supports not only the standard sRGB colour space but also user defined colour spaces like Adobe RGB or Device RGB. Simply compare image quality produced by standard large format scanners with that of ROWE Scan 850i. The Scan Sensor Technology used for the first time in the ROWE Scan 850i means the lighting of the originals is exceptionally homogenous. This is achieved by the optimal alignment of the lighting angle to the sensor. Together with the ROWE double lens technology, this produces excellent scanning results. 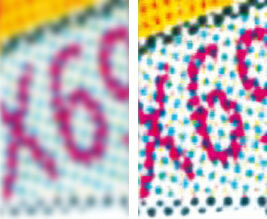 The optical resolution of 2400 x 1200 dpi (maximum resolution 9600 dpi) means the smallest details are visible. This is your competitive edge in large format scanning. 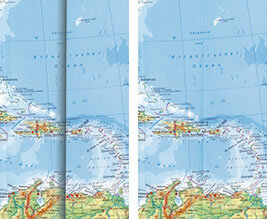 Just compare the image produced by ROWE Scan 850i at 2400 x 1200 dpi to the image at 600 dpi. ROWE SAFE GUARD to ensure that even old, torn or extremely wavy originals are protected in the best possible way.